Know the best way to revive your Friday morning at the office? 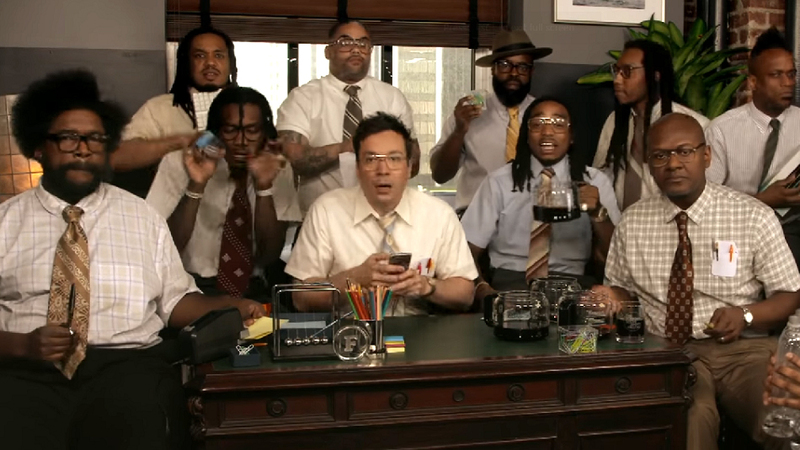 With this video of Jimmy Fallon and Migos using office supplies to rock out to a fun version of “Bad and Boujee.” You might never see a stapler the same way again! For those unfamiliar with the tune, “Bad and Boujee” is the lead single from the latest Migos release, Culture. The band appeared on The Tonight Show the other night, and it looks like Fallon and The Roots had an incredible way to take the hit and make it shine in a brand new way. We’re also loving Fallon’s”nerd gear” ensemble. In his eyes, that’s what office folk look like. Well… he’s not totally wrong. Also, in Fallon’s dream office, absolutely everyone wears glasses for some reason. Glasses or not, the office environment is familiar to many of us. 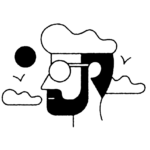 And thanks to this fun jam, now we’re inspired to look for items that might accidentally morph into a full-fledged instrument. For example, Questlove is using a pair of scissors in a way we never imagined. And while changing out the water cooler is one of the most dreadful office tasks, now we know that the empty container can be repurposed into a killer bongo drum. Curious about what Fallon is doing? He’s musically participating by using iPhone tunes. Clever. We totally get why this video is going viral. Not only is it fun, but it’s totally inspiring! We’ll be looking for new tools to rock out with during the weekend, for sure.